Transit: One and a half short blocks from the Mountain Rides Transit stop on Main Street. 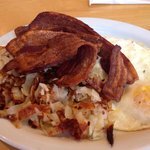 Description: Voted "best lunch, breakfast, & sandwich" by locals numerous times, Perry's Restaurant has been a Ketchum fixture for 25 years. Keith and Paula Perry summarize their commitment to the community: "Our mission is to provide a quality atmosphere and product. We strive to treat our customers as extended family, providing a comfortable, relaxed environment, with wholesome fresh food at an excellent price." We feature local products, scratch-made baked goods, and unique recipes for a memorable dining experience. Had a half of a Rueben sandwich. The sandwich has great flavor and the bread was excellent. My main complaint is that there wasn’t enough pastrami in the sandwich. They also have a variety of iced teas, that were delicious. Next visit I will try their other baked goods. Thank you for your review of our Reuben. We appreciate your feedback. I like to use reviews as teaching tools in the kitchen. I will double check portion sizes at your suggestion. On another note, our fresh bread is always a hit as are our baked goods. We do hope you come see us again and indulge! Best breakfast restaurant in town. Although they had a lot of good competition. We kept coming back here for great coffee, great variations on eggs benedict. (Probably a lot of other good stuff, too, but we kept going back for the eggs.) Ate here 3 or 4 times in a week. 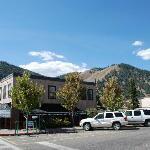 Thank you for the 5 stars and your fantastic review of Perry's Restaurant in Sun Valley, Idaho. We are so glad you loved our eggs,...and, other things. We do our best to provide fresh and delicious food for our customers. Please come see us again. Perry's is the best! 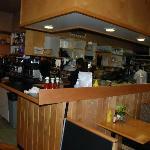 Their baked goods, breakfasts, sandwiches, and soups are top-notch, and the service is friendly and homey. My son LOVES this place-- he says the chili and the chicken strips are the best things here, haha. They do pies around the holidays that are fantastic, too. Thank you for your great feedback and your 5 stars. You ans your son are welcome here anytime. And, yes...during the Holidays we make and sell many pies! Come see us again. Fantastic place to grab a breakfast sandwich! You get to design what you want, and it is ready fast, and delicious!! We were so happy to find this place! Hi Brrwy! 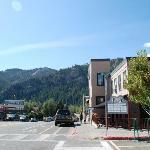 Thank you for your great review of Perry's Restaurant in Ketchum, Idaho. We appreciate your thoughts and that you took time to write a review. Please come see us again. Excellent wholesome food which was so tasty!! I had a wrap and the tortilla soup and I loved both. The staff was really helpful and friendly and the service was quick. I would highly recommend this place. Hello Zanzibary, Thank you for coming to Perry's! I am so glad you were pleased with your meal. Our Tortilla Soup and wraps are very popular and tasty! Come back and see us again. Been to Perry's Restaurant? Share your experiences!